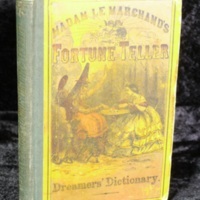 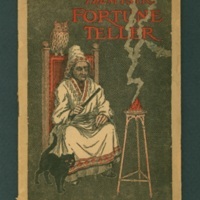 This fortune telling booklet contains information on divination (by cards, dominoes, dice, palmistry, tea leaves, etc. 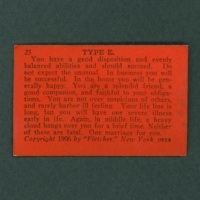 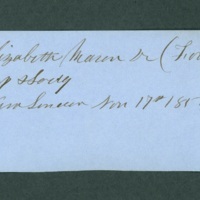 ), character reading (by facial characteristics and handwriting), charms, and other topics. 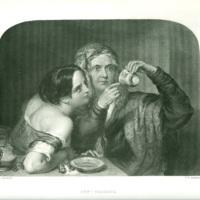 The Fortune-Teller on Casting the Coffee Grounds, from an Original Design at Vaux-hall Gardens. 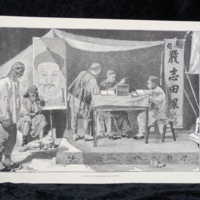 A hand-colored copperplate engraving on handmade laid paper. 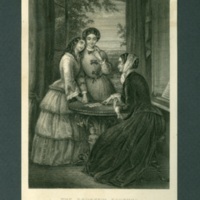 Fortune Telling, by Julian Scott, a wood-engraving in the July 4, 1874, Harper's Bazaar, p. 437. 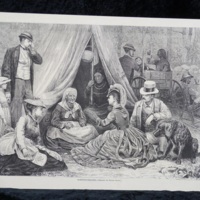 Depicts a group of people visiting a gypsy encampment. 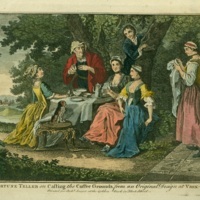 This engraving depicts a group of women attempting to read their tea leaves at home. 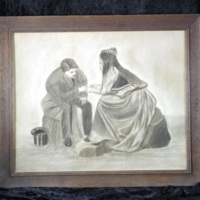 This is a smaller version of a much larger steel engraving of the same scene and same approximate date, titled Manifest Destiny, also in the Skeptiseum collection.